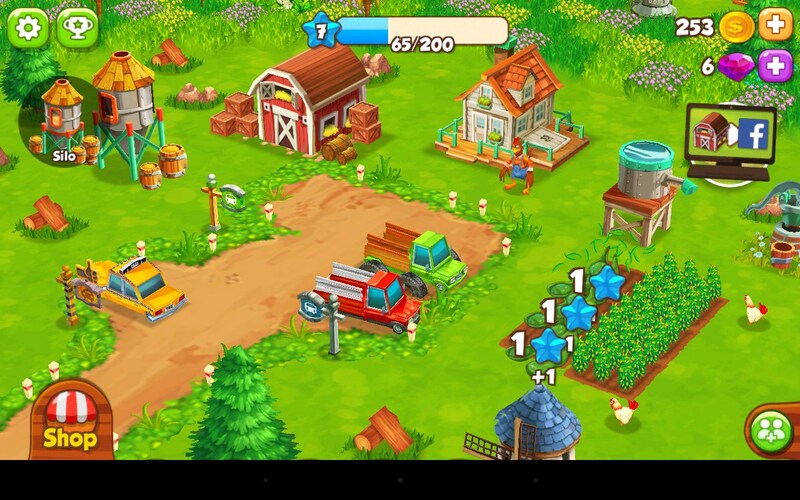 Top Farm – Games for Android 2018 – Free download. 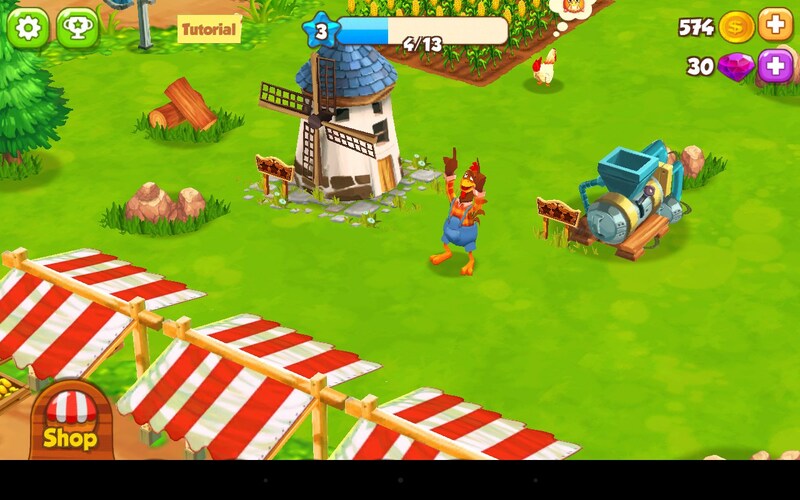 Top Farm – Catchy farming simulator. 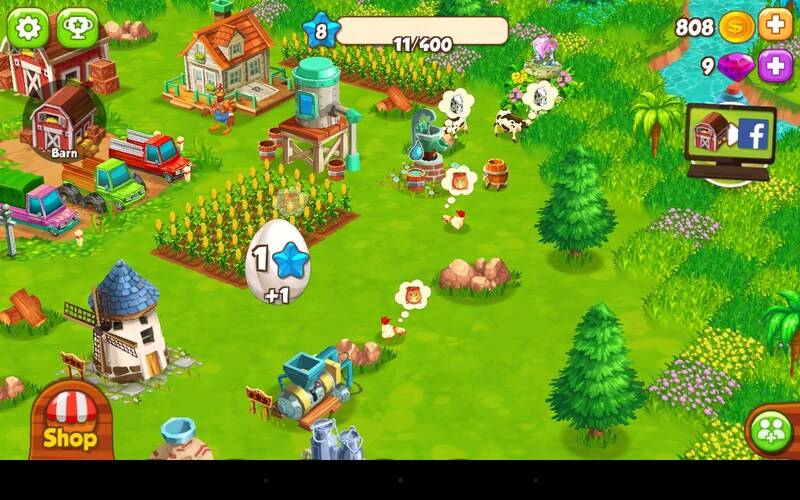 Top Farm for Android is a game that familiarizes the user with the good ol' farming experience. And just like the real deal, your virtual farm will be in constant need of attention; from taking care of animals and growing your crops, to managing your resources and selling your goods. 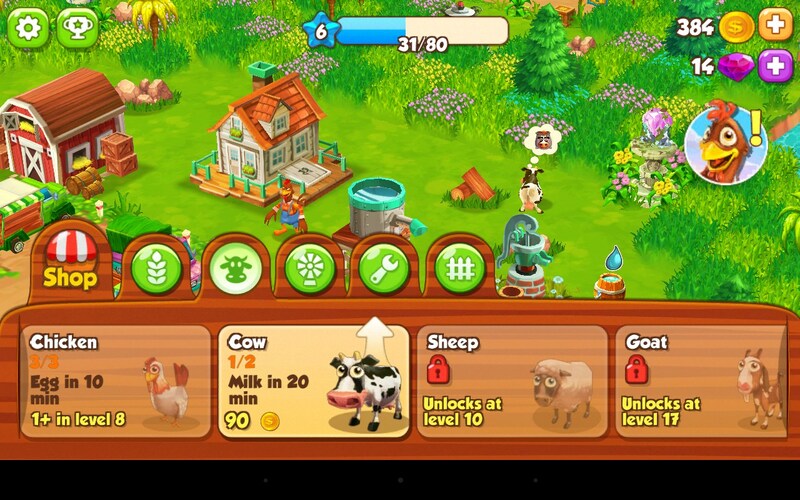 You can use money earned to expand and modernize your farm. So we have a cute game that handles all the affairs of a farm and it’s your responsibility to achieve synergy from all areas and become prosperous. First we cover the crop area where you buy plots of land for you to sow your desired harvest, and as with most things in this game they will have a timer for you to track and check when the harvest is ripe and ready for picking. The sowing and reaping is done by sliding your finger across the plots. 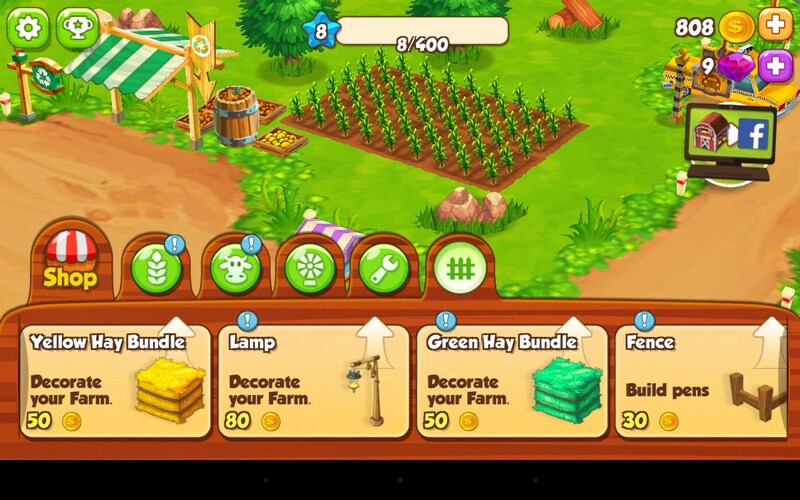 While waiting on your crops you can focus on the animals and buy them by dragging their icon from the shop onto your land. They will provide an additional source of produce through the milk, eggs, honey and more that they produce. The animals and the crops need a constant upkeep, so make sure that you have food and water readily available by purchasing feeding mills and water pumps from the shop and dragging them anywhere on your land. 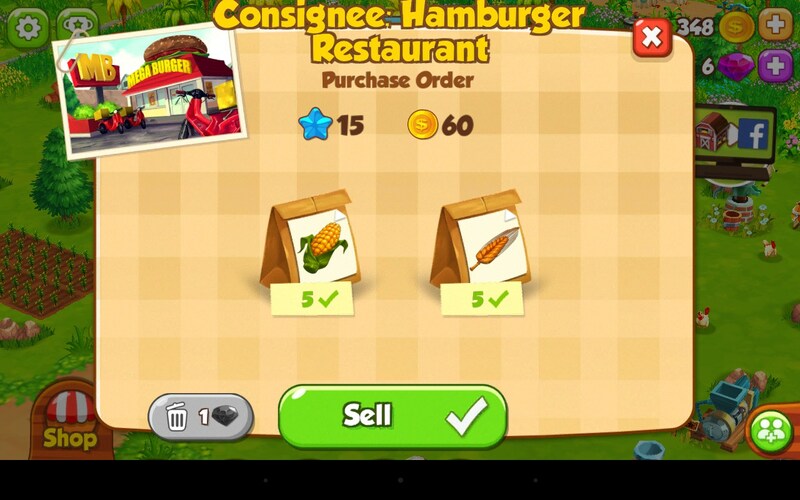 Players will have access to a wide array of items available for purchase as their farm progresses. 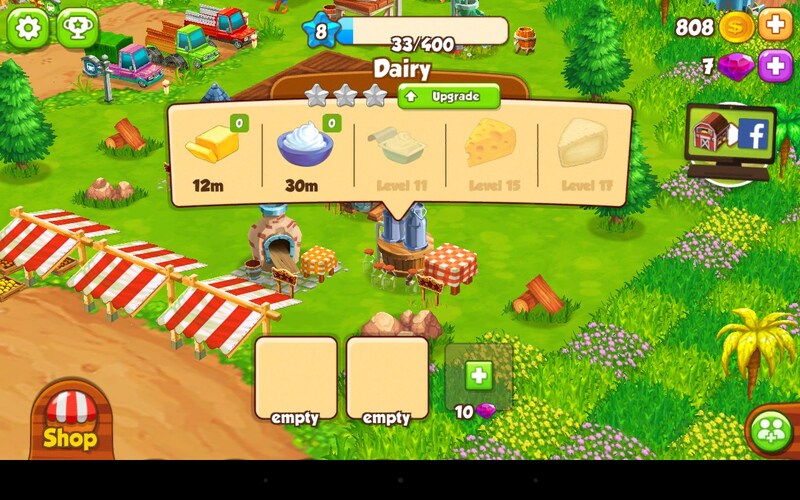 Dairy shops, bakeries, farming machines and more will gradually become available. Most machines will have an energy consumption which requires constant care and management. The game even provides a quest system in the form of locals who will swarm players with demands, and ask for raw products or processed food; and provide a decent income in return. 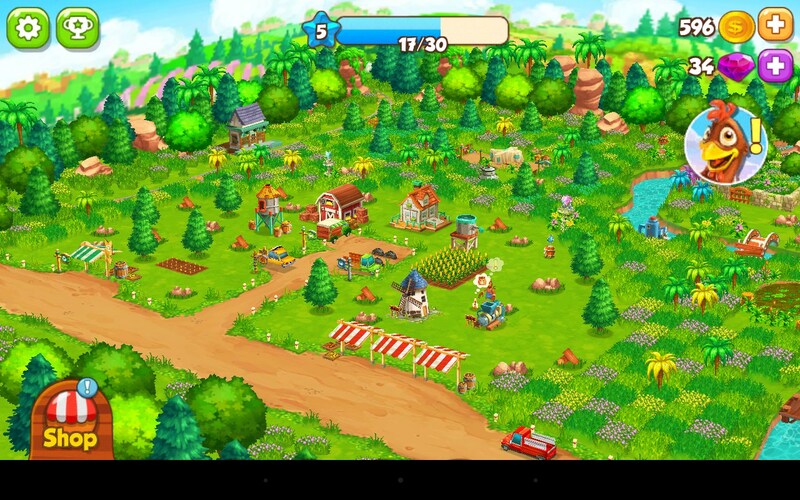 Overall Top Farm for Android is a well-designed game, filled with amusing characters and new challenges around every corner. The graphics are decent and the soundtrack appropriate for the casual management nature of the game.